The Soul Creatures' Land Card Deck is a unique and creative therapeutic tool. The fun and accessible visual images make it easy for children, adolescents and adults to understand and express themselves better, improve their self-image as well as their ability to regulate their emotions and behavior. The Soul Creatures’ Land is all about that inner landscape and the many “parts” that live there. Psychologist Efrat Mayaan refers to these parts as Imps and Magical Powers. The deck is divided into two suits - Imps and Magical Powers. The quirky Imp characters are a metaphor for impulses, urges and emotions that sometimes “take over” and interfere in our lives. The Magical Powers include: the power to stop, the power to aim higher, the power of compassion. Her visual language is powerful and invites all of those 'parts' to the party. The card deck was developed following years of clinical experience in individual and group settings with various age groups. 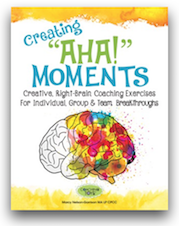 This tool is suitable for individual therapy and group facilitation and can be used by therapists, coaches, school counselors, homeroom teachers, parents, instructors and anyone who is on their journey of growth. This deck includes 72 cards.